J. R. Ward's Black Dagger Brotherhood novels have introduced readers to a "different, creative, dark, violent, and flat-out amazing" ( All About Romance) world. Now, as the vampire warriors defend their race against their slayers, one male's loyalty to the Brotherhood will be tested - and his dangerous mixed blood revealed. Rehvenge has always kept his distance from the Brotherhood - even though his sister is married to a member - for he harbors a deadly secret that could make him a huge liability in their war against the lessers. As plots within and outside of the Brotherhood threaten to reveal the truth about Rehvenge, he turns to the only source of light in his darkening world: Ehlena, a vampire untouched by the corruption that has its hold on him - and the only thing standing between him and eternal destruction. 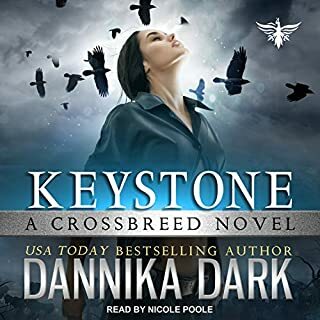 Listen to another Black Dagger Brotherhood chiller. This is the longest BDB books at about 24 hours and it was hard to put down my earphones for any of it. I think this is one of the best books so far closely tied with #3 Lover Awakened (Zhadist/Bella) and #4 Lover Revealed (Butch/Marissa). I thought this installment was emotionally deeper then the last couple of books or maybe I just had a hard time liking Phury and/or relating to Vishous. This book is about Rehvenge and Ehlena and had alot of twists and turns as they all do but I felt more empathy for these two characters. This book also delved a little more into John and Zhex and there was quite a bit about Wrath and Beth too. I can't wait for the next book, Lover Mine due out in April 2010. If you haven't read this series you need to start at the beginning with Dark Lover and work your way forward, its a series you shouldn't skip around in as one leads to another. They are very darkly emotionally and highly sexual in nature. Best series that I have every read! A must read for all in the Brotherhood series. 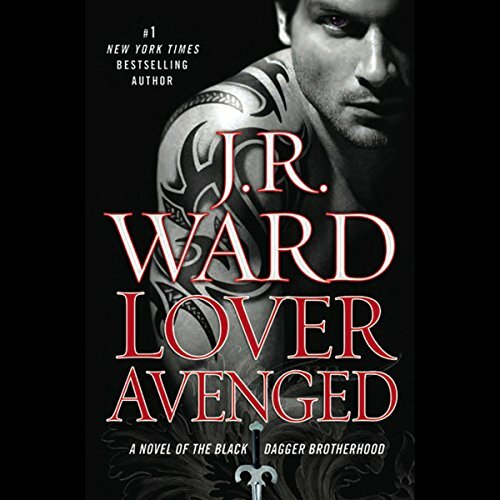 the last book in the series of the "Black Dagger Brotherhood" by JR Ward, was by far one of my favorites, I loved Rehvenge, his passion, his desires all balled up in a amazing story, I so did not want it to end.... I have all 7 audio books and see myself re-listening to them over again. 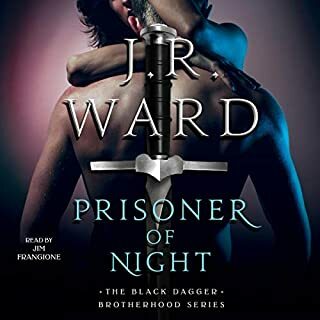 J.R. Ward's Black Dagger Brotherhood is one of the best of the paranormal romance series. Lover Avenged is a solid book. She managed to turn a drug lord, pimp and murderer into a sympathetic romantic lead with her touching dialogue and interaction between Ehlena and Rehv. There are also two side stories of the other two Brothers weaved in. Jim Frangione's narration added a contemporary mood to this urban fantasy/romance. 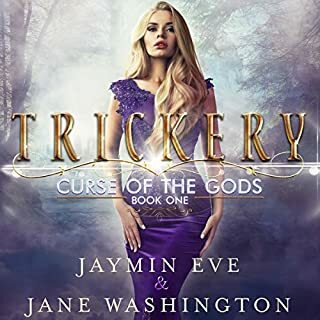 Highly recommended for lovers of paranormal romance or urban fantasy. Another success for JR Ward!! I read the book first and thought it was amazing! So much takes place in this book. It includes things about all of the brothers and Lash the head of the lessers is so complex. I love how she doesn't just write about the main character but all of them! I can't wait for her next book because at the end of this one you wish you could just keep going! I had to get used to the narrator but after listening to the other books in this series I'm getting used to him. This story is tied with the 3rd book about Zadist for my favorite. Definately worth every cent or credit!! There is a lot of arcing in the BDB books. I think this may be the reason for the success of this series. I keep going because I want to read a specific person's story so I keep going, even if some stories aren't as good. 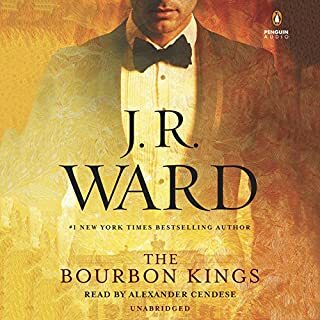 I don't like some of the brothers, but the side stories were enough to keep me interested in continuing where as I may not have if JR Ward had only focused on one individual per book. With that said, this book was way better than the last two. I am having a hard time with Rhevenge though. On one hand he is super sweet with all those he love, but at the same time he is a pimp, drug lord, scumbag all around. I believe actions speak loudly and I had a hard time wrapping around him being the hero in our story, but JR Ward pulled it off somehow, mostly. So far Z and Bella's book is the best. I wasn't a huge fan of Fhury's and Cormia's book. Great book series and the narrator is excellent! If you are a J R Ward fan this is another excellent installment in the Brotherhood Series (Book 7). Ward's storyline is unique and fresh as always with some amazing complex storylines all being developed at once. This is Rehvenge & Ehlena's story and is full of developments that leave you wanting more, more, more!!! Can hardly wait for John's story which is next! If you have not experienced J R Ward's vampire world I highly recommend each and every installment of this series. I really like the narrator even though there is not much difference between female and male voices...I hope he continues with the series...have purchased each and every title in series, all are amazing, well worth the credit. Like the books...HATE the narrator! I enjoy reading the series and how each book connects together as whole. However, I HATE the detached and unemotional reading of the narrator. Some of the writing within character dialogue is a little...off...to begin with, but this narrotor makes it sound lame and weird. I can't believe he was an "actor"...unless it was for a cheesy daytime soap and I wish he wasn't getting a cut of what I paid for it. I put up with it because I like the books and listen to them while i do insane amounts of driving for my job.